Chainium aims to reinvent the equity market by offering companies the opportunity to sell digital shares in order to raise capital for their company through blockchain technology. Chainium wants to make this usually tedious process faster, more secure & much more accessible to your average joe. It provides solutions to the problem of raising capital for large and smaller businesses, offering business owners the same access of the traditional markets for a slither of the price. They aim to provide investors access to a range of businesses previously only open to institutional investors for zero fees. Currently, there are a few ways that companies can raise capital for their business, let’s take a look at the more traditional ways to do this and why Chainium would be a perfect solution for some of these difficulties. Friends & Family – Trust fund babies using the family money, lucky or what! If you are lucky enough to have a wealthy family or you happen to be best friends with a rapper who think you are a good investment & want even more Lambo’s then this could be a viable solution. Realistically, most of us aren’t this lucky and we definitely don’t have Jay-Z as best friends (i don’t like Rap music sadly!) so this isn’t an option for most. Venture Capitalists – Pitching to money hungry businessmen who will no doubt ask for more equity than you want to give. Chainium will aim to put you and your business in contact with people looking to invest and because you set the parameters it’s on YOUR terms, not some high powered CEO trying to get an extra 5% out of you….plus how many venture capitalists do you even know to pitch to anyway? Crowd Funding – Using platforms like Kickstarter are great, but you get no equity for your money which is no good for serious investors. Chainium not only provides a platform for businesses, but it’s also a place for serious investors to find hidden gems to invest in. Public Listing – Listing your company on the exchange takes ages, is extremely expensive and of no use, if you are a small start-up. Running an IPO takes months of planning, multiple meetings with advisors, negotiations with banks & law firms to gain regulatory approval. This process takes a minimum of twelve months and the end result can be uncertain. Chainium will eliminate the need for 3rd parties saving you money on solicitors fees, but at the same time making it far more secure & accessible to investors with the use of blockchain technology. Chainium scores an extremely high 8/10! The USD $8million hard cap is really really low for a project like this. 50% of the coins are available for sale which is respectable, but could have been a bit more. When researching this ICO we realized that the hard cap was originally set at $37million. (that’s how deep we like to research!) When we asked the CEO of Chainium why they had reduced their cap to $8million he said they previously planned to do a number of acquisitions & open up a few more sites etc. They decided they were now starting to focus more on the tech platform alone with the crawl-walk-run approach, which we agree is the best foot forward in this space. They also decided to rely more on partnerships and an open ecosystem, rather than a closed shop, because of this their story has evolved and they’ve been able to reduce their budget significantly in this process which is great news for investors. In addition, they mentioned that they’ve seen teams raising 30m — 50m, and noticed that they only spend a tiny fraction of that, while their cash keeps increasing and they don’t know what to do with it. They don’t want to go down this path, which also aided their adjustment approach, and keeps them fairly humble in the process. Chainium is an intimate team of 6, the core has worked together for more than fifteen years which shows they have good chemistry. Looking at their LinkedIn profiles it seems they met at Computershare which is a share registry & financial service. This is exactly what you want to see in a team, the core members to have all worked (and more importantly held high-level positions) in the ICO’s market. As a team, they have implemented equities technology solutions for companies such as Walmart, CommBank, Allianz, HSBC, BP, Vodafone and Sainsbury’s, to name just a few. This also shows they are capable of talking & handling big clients and those looking to invest will hope they’ve taken their little black book of contacts with them to Chainium too! C) that they must really believe in Chainium to give up highly respected roles within this industry. In an ideal world i would have liked their Blockchain Developer to have more experience in top-level blockchain companies but definitely seems up for the task. 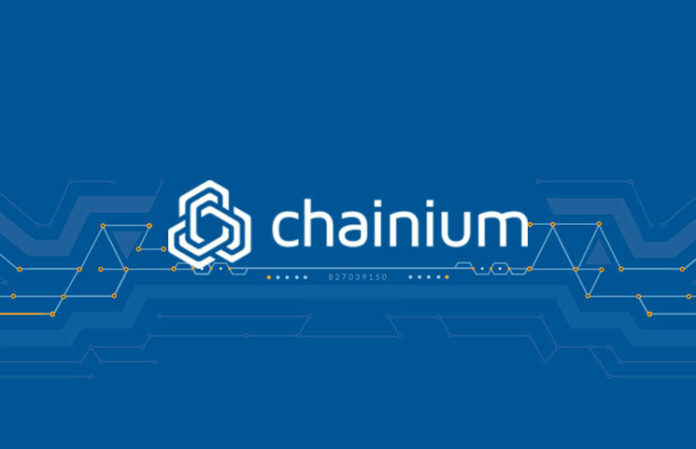 In closing, I think they definitely have the right set of skills & expertise to make this a household name and if anyone is going to succeed in this market, the team at Chainium will. The Team received a healthy 8/10! They are also very active on Twitter & have been running a blog on Medium since November 2017. Despite this, by now I would have liked them to have a load more followers on Telegram, for this, I give them 6/10. In Conclusion, I believe that Chainium has the right tools to make this a success. They are forward-thinking, have vast experience in their marketplace and there is a genuine need to revamp the traditionally slow & tedious process of trying to raise capital. For the small business owners and investors out there I believe this will be the perfect platform, the question is can Chainium scale this company and persuade the bigger businesses out there to adopt this new abstract way of raising capital? If they can, they are definitely onto a winner!